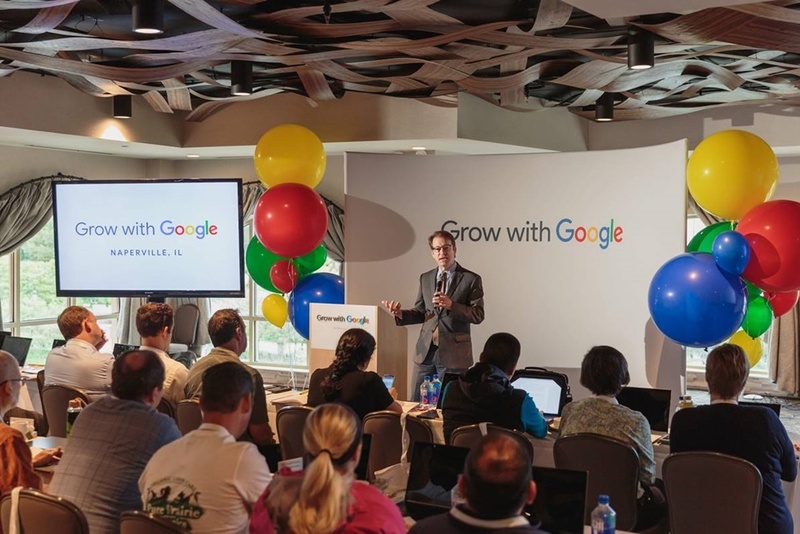 A Google-hosted digital marketing seminar at Elements of Water Street in Naperville drew dozens of Chicago-area businesses, as well as special guest U.S. Rep. Peter Roskam (R-IL). The event comes on the heels of a report from accounting firm Deloitte that showed a large percentage of small businesses fail to mine online tools to reach customers. For example, almost half of small businesses lack a website and just over a third have relevant search engine rankings, according to a press release from Roskam’s office. Increasing the digital footprint of small businesses is crucial for long-term success, Roskam said. Seminar attendees learned “to get on Google Search and Maps for free and promote their business with a free website and advertising.” The seminar is part of Grow With Google, a program geared to help users market their businesses online, the release said. Want to get notified whenever we write about Peter Roskam ? Next time we write about Peter Roskam, we'll email you a link to the story. You may edit your settings or unsubscribe at any time.